Folks, it’s time for Foakes! English cricket has a potential new hero, although I’m not sure he has yet displaced Johnny Bairstow from the reckoning. It will be interesting to see how he gets on, as that middle order is certainly looking crowded. 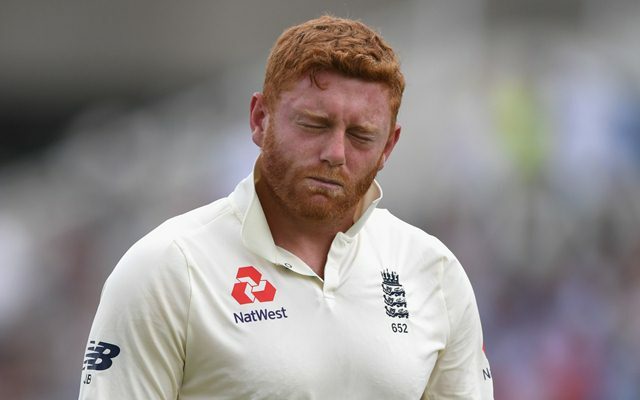 I just hope we don’t persist with this ludicrous idea that we must give Bairstow the gloves (when fit) because otherwise he’ll be sad. If Jonny comes back in as keeper it will be a disgrace. Foakes took a sharp stumping and a good catch and is accepted as best gloveman in the country. He has scored a ton on debut. He has to keep his place. What a good start eh. I’ve long wondered if he might have been a better batting pick than most we’ve gone for given his strong record but the lack of hundreds counted against him - this was his first FC ton all season I believe. Bairstow needs to improve his batting if he wants to force his way back in because he’s actually been ordinary for a while now. Perhaps the enforced break will do him good. Foakes to bat 3 as specialist batsman. Sorted. Would it be entirely mad to consider picking Foakes merely as a batsman? He's been on a steadily upward curve these past three years and arguably loses little in comparison to others in the 'bare cupboard'..........I suppose we have to factor in a little 'Oval Weighting' when considering his numbers but, as you say, he's outperformed several more noted batsmen on the same surfaces. I think he has a decent technique and I'm impressed with his calm and measured approach to building an innings. That's what I'd expect. Personally I'd rather have Bairstow at 5 (or perhaps 6 with Stokes 5) and Foakes keeping as, like you and GBG, I think Foakes is a better keeper despite Bairstow's reliability these days. I would, however, think that if Foakes is brought in he wouldn't keep and it would be as purely a batsman. What a good start eh. A good bit to quote to try and steer towards some perspective. ONE innings to date, are we really judging his career (potential) based on that?!?!? I've already read several chapters. The first one I began reading at Essex a fair few years ago. Bairstow’s Test batting has been poor since he forced his way into the ODI set up. Lots of soft dismissals, lazy shots etc. He seems to be a peak and trough player - go through lean spells, then force his way back in by being impossible to bowl at in county cricket. You can add ODIs to that too I suppose. He said sad not constipated. But not unexpectedly, according to my friend who used to work at the Essex cricket school. "England is becoming a nation of wicketkeepers". - Napoleon. A man of the series award for Foakes yet I'd suggest still no guarantee he's a long term fixture in the side. He could quite sensibly be dropped to ensure the side has the right balance. I'm not sure how. If you drop him you give the gloves to either Buttler or Bairstow. If you give them to Bairstow then you have to find a new Number 3. If you give them to Buttler then god knows what kind of reaction you'd get from Bairstow (although might be quite funny to find out). The right balance is currently Jennings, Burns, Bairstow, Root, Stokes, Buttler, Foakes. You can do what you like to provide 4 bowlers on top of Stokes after that, but we shouldn't be chopping that batting order around for a while if we've got any sense. A lot might depend on whether Foakes extends his form into 2019. His domestic stats certainly show a preference against spin, but he won't be facing as much of that in the Ashes. If we want six bowlers with Stokes, as in the India series, then the arithmetic changes. In many ways, we kinda need Bairstow to make no3 his own! Didn’t Buttler say he’d be happy to bat 3 if required? So we could conceivably go down that route if desired (although I agree with you).